This last picture was taken while we were cleaning the seat top. You can see the extreme difference in the color and shine of the leather between the uncleaned and cleaned section. 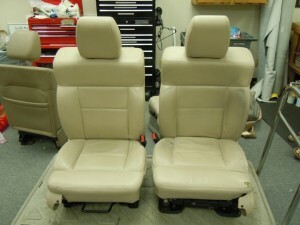 If you want to achieve a perfect color match when replacing just one part of the seat (i.e. 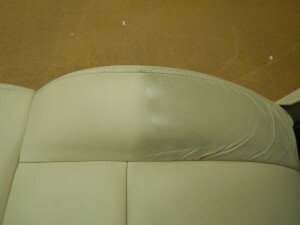 bottom, top, armrest), you will need to clean the original leather. Check out this video on how we clean dirty leather. 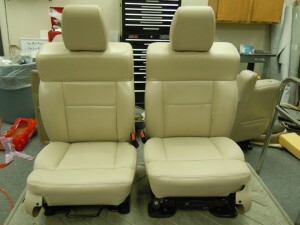 If you have any questions about replacement leather seat covers for your vehicle, please check out our website at www.theseatshop.com, or give us a call at 214-710-2565.